It’s often said that society works better when communities work together. From food banks to flood relief, stroke awareness to summer festivals, Rotary is always making a difference in our communities. The opportunit​ies with Rotary are endless – here’s just a few of the ways The Rotary Club of Windsor and Eton is helping. Summer Fayre and Duck Race: Held in Alexandra Gardens, this has been an event in the Windsor Calendar for over 40 years, and the primary purpose is to provide a platform for local groups to raise money for their charities. The event includes a street market, live entertainment from the band stand and of course the ever popular Duck Race. 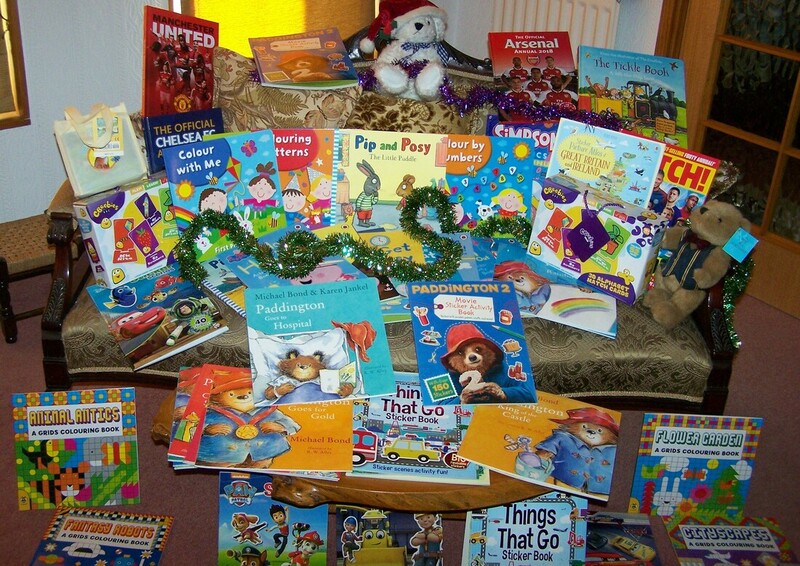 Before Christmas we donated over 100 books to local charity Dash, who help individuals and families affected by domestic abuse. We were pleased to be able to give them a means of escape from the traumas they have been through. Stroke Awareness Day: To encourage a healthy community, our free event in the town centre offers blood pressure checks and professional advice on stopping smoking, healthy eating and getting fit, with the assistance of the Red Cross and Boots. Following a recent talk at our Rotary Club by Tony Churchill the Founder of 'OKOurKids' we have decided to support the project by getting their book called 'Watch Out 'into all the schools in the area with Key Stage 1 pupils. OK Our Kids is a community interest company that helps young children to deal confidently with the challenges and dangers of staying safe at home, in school and in the community. We provide financial assistance and last year we helped 17 different individuals and organisations ranging from monies to help feed the homeless at Christmas, a women’s refuge, a local charity who help disadvantaged children with their reading at school, charities who support the elderly and many others.